Takeaways from the 2018 outdoor furnishings show. No matter where they call home, consumers want to spend more time outdoors. And why not? With casual living so embedded in the mainstream that it has become a lifestyle, sitting down for a quiet conversation and lounging by the pool are being viewed as important ways to relax. Furniture, lighting and accessories meant to facilitate relaxation were the focal point of Casual Market Chicago, a show devoted exclusively to outdoor furnishings held yearly at the Merchandise Mart. 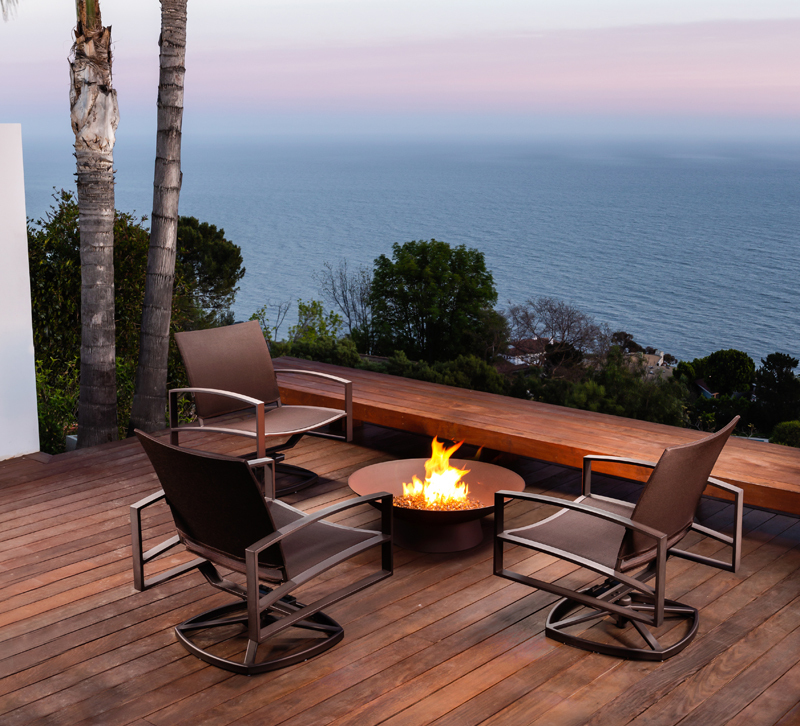 This year’s event confirmed that the status of patios and decks has risen to that of outdoor rooms, and just having new pieces in the showroom was not enough. The best introductions paralleled the function, comfort and color trends that consumers have come to love indoors. Now that performance fabrics are being embraced so fully for interiors, selections for outdoors have more trend-forward options than ever. This is especially true when it comes to color. At the Casual Market, the same denim hues that are cycling back within an indoor trend called American Casual were also returning in outdoor upholstery at Brown Jordan. 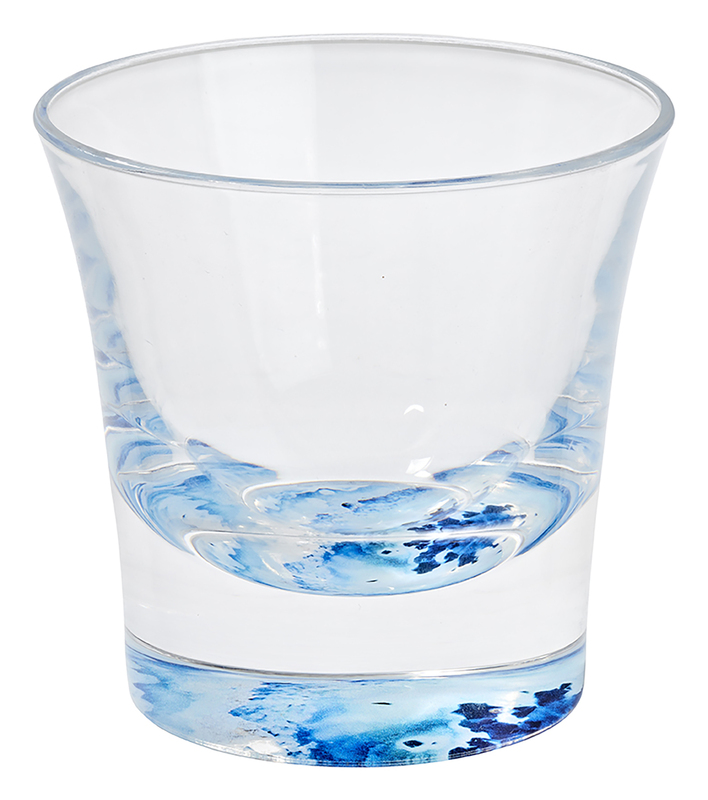 Merlot tones are poised for growth in categories from dinnerware to rugs. 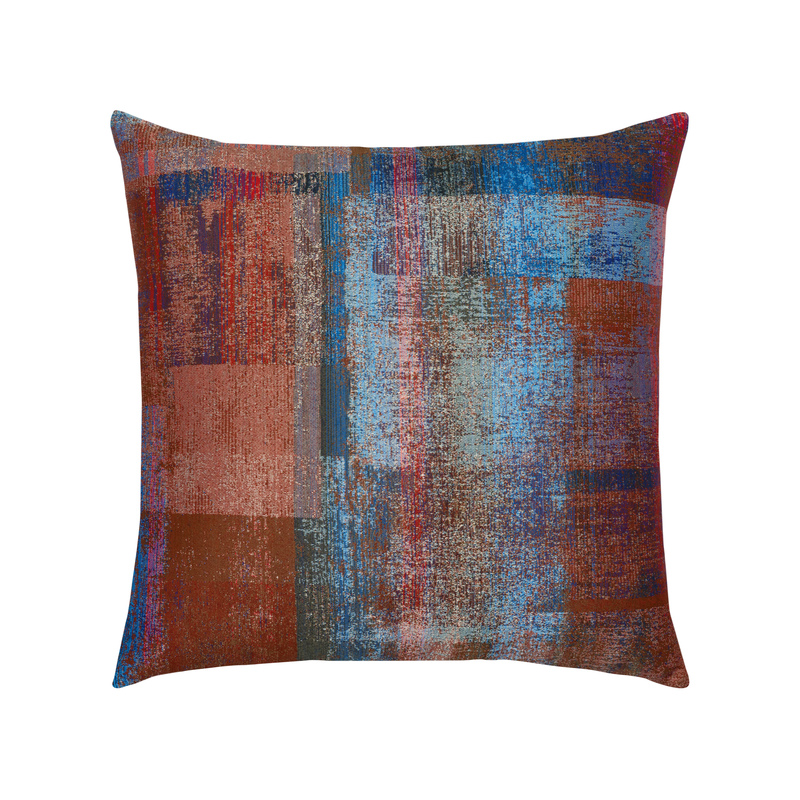 They debuted in cushions from Elaine Smith that work both inside and out. Shades of clay, among the top color stories at Maison & Objet just a few weeks earlier, had liberal exposure at Gloster. Motion is another indoor winner that has become indispensable outside. In fact, Agio includes seating that rocks, swivels, glides or combines swivel and rocking features in every new collection. The same is true at OW Lee, where motion sells at a 2-1 ratio over stationary chairs. 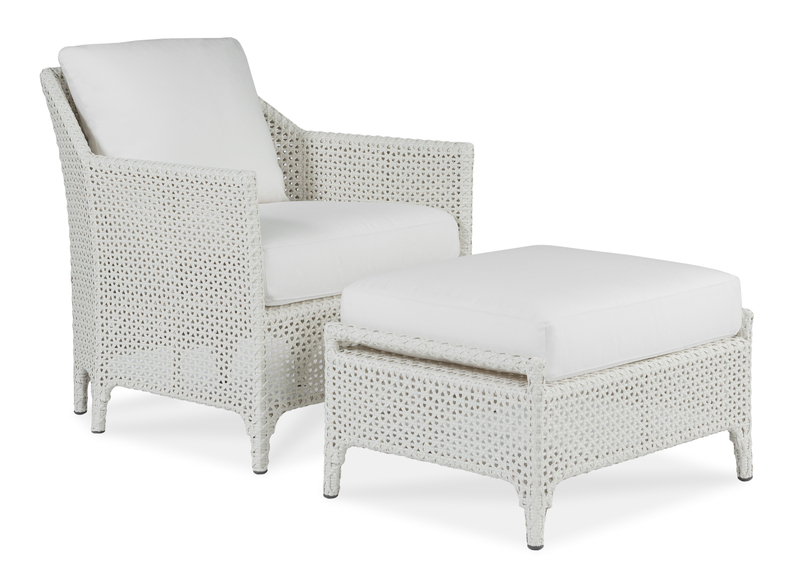 Upscale maker Castelle considers motion an important factor for luxury seating comfort. However, their ratio is closer to 1-to-1.5, with each swivel supported by 1.5 stationery chairs. Rory Rehmert, Castelle’s Senior Vice President of Sales and Marketing, says one explanation for this is retail presentations, where an 84-inch table is often shown with a swivel chair on the ends and two stationary chairs on each side. Lane Venture’s Jackson sectional demonstrates how fully upholstered looks translate to outdoor living. There are several reasons why this modular concept is advancing. First, components can be added or subtracted to fit a range of spaces. Next, functionality can go from seating to lounging by simply repositioning an ottoman. Finally, pieces can be reconfigured based on needs at the moment — like when entertaining. These features are just as valid for outdoor spaces as they are for interiors, and it shows in sectional sales. Lloyd Flanders estimates that 40 percent of their seating sales come from sectionals. Their moderately sized Martinique sectional was added at the show. 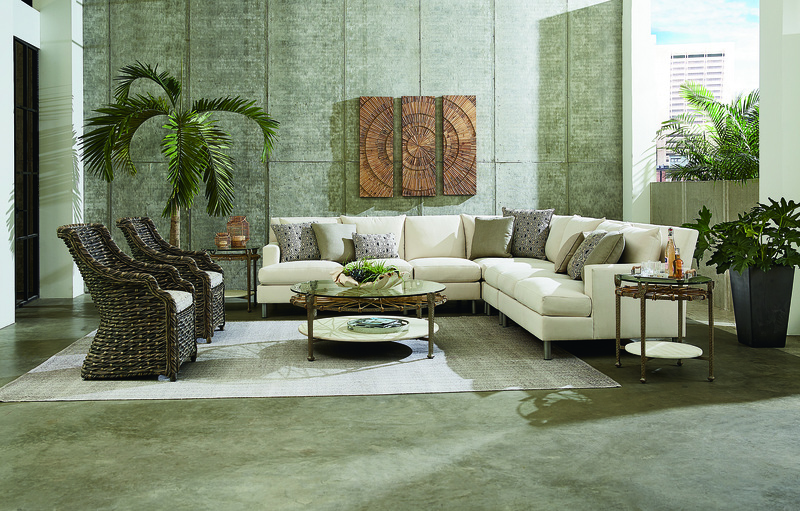 At Lane Venture, sectional sales are over 50 percent. The fully upholstered Jackson sectional (right) aims to push that number higher, with its generous proportions, clean modern lines, low profile and track arms. Tropitone is also doing well with modularity. They believe the preference for modular pieces could grow to as much as 75 percent of seating over the next five years. 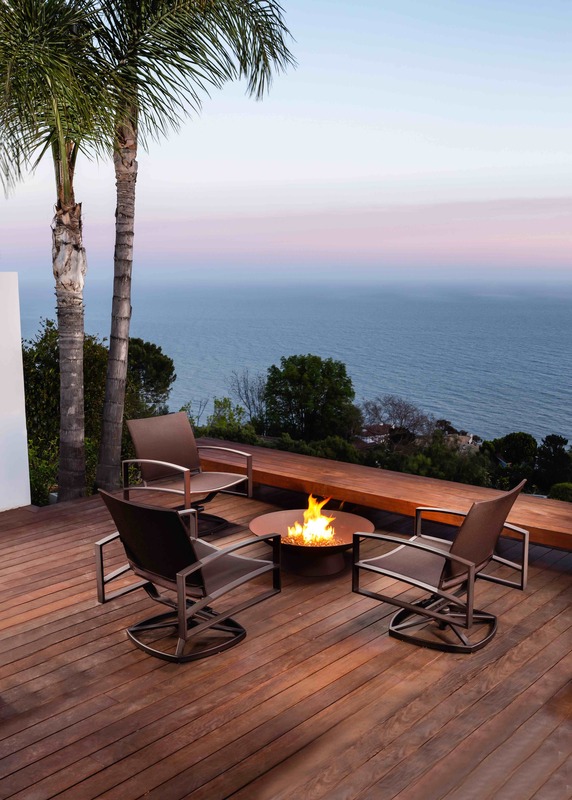 Tuuci’s Automated MAX Cantilever can include open/close, lights and heater options within its touch pad. Daybeds debuted in collections from several companies. Favorite: Brown Jordan’s Stretch Suncloth Daybed. Mixed-media combinations made pieces more compelling. Jensen Leisure’s sleek and modern Jett Lounge Group is made with custom cushions, plus Ipe timber, powder-coated aluminum and high-pressure laminate. Cane, an emerging material for 2019, was mimicked in all-weather resin seating. It teamed up with teak and scagliola stone occasional tables in Tangier, designed by Richard Frinier for Century Furniture. Automation lets people relax more in the backyard. Tuuci’s newest umbrella lets users raise or lower the canopy, turn on a heater or add light, all with a remote control. Stone looks are not slowing. Blue Agate and Golden Granite lacquer trays and coordinating melamine dinnerware debuted from Merritt.